Date: May 4 2019, 5 p.m. - 8 p.m. 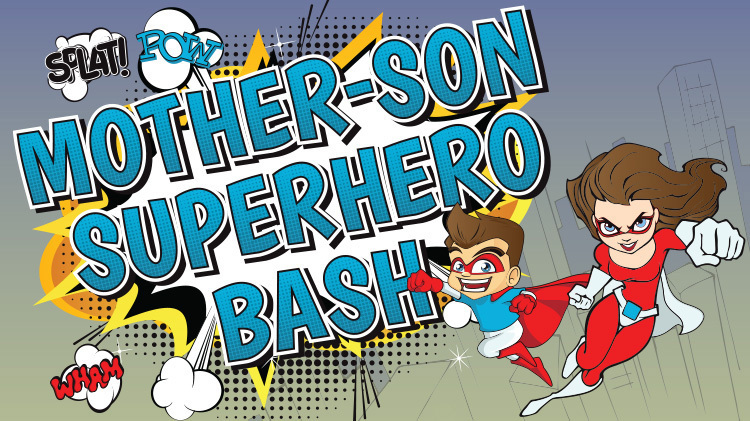 The Mother and Son Superhero Bash is back again! Join us for a night centered around the bond between a Mother and her Son(s). Ticket sales start... the Recreation Division Office (Cash and Card) and Gordon Fitness Center (Cash Only). Don't miss out, these tickets will sell fast! $10 per person (includes a hot dog, chips and a drink). Ticket sales start March 4th! Tickets are available for purchase from the Recreation Division Office (Cash and Card) and Gordon Fitness Center (Cash Only). Don't miss out, these tickets will sell fast!